Biography - De website van 1554752114! Baritone Willem de Vries studied at the Conservatorium van Amsterdam with Margreet Honig. He continued his studies with Dietrich Fischer-Dieskau, Thomas Quasthoff, Graham Johnson, Jard van Nes, Rudolf Jansen, Udo Reinemann and Maarten Koningsberger. During his studies in Amsterdam Willem sang for two years in the choir of De Nederlandse Bach Vereniging and participated as a member of the extra-choir in several productions at DNO, such as Lohengrin, Turandot, Euryanthe, Don Carlo and Götterdämmerung. Willem de Vries regularly performs opera in the Netherlands. He has sung in L’Orfeo (Monteverdi), The Fairy Queen (Purcell) and Gentleman's Island (Horovitz), as well as the roles of Chou-En-Lai in Nixon in China (Adams), Poeta in Viva la Mamma (Donizetti), Juan in Don Quichote (Massenet) and Eisenstein in Die Fledermaus (Strauss). With Opera Zuid he has performed various roles: in 2006 Graf Danilo Danilowitsch in Die Lustige Witwe (Léhar), in 2007 Moralès in Carmen (Bizet) and Marco in Gianni Schicchi (Puccini) and in 2008 Figaro in Il barbiere die Siviglia (Rossini). In 2009 and 2010 de Vries was engaged by Opera Zuid for the roles of Ford (Falstaff Verdi), Valentin (Faust Gounod), Peter (Hänsel und Gretel Humperdinck) and Conte Almaviva (Le nozze di Figaro Mozart). In 2011 Willem de Vries performed the role of Papageno (Die Zauberflöte) in the Concertgebouw in Amsterdam, Belcore (L’elisir d’Amore) in a new Opera Zuid production and Conte Asdrubale in Opera Trionfo’s production of La Pietra del Paragone (Rossini). He has sung with Zoroaster and the Utrechts Blazers Ensemble, has participated in various festivals such as the Grachtenfestival in Amsterdam and Zomer Opera Festival in Alden Biesen (Belgium) and has worked for Opera Trionfo. Recent opera engagements have included appearances with Opera Zuid, performing the roles of Silvio (Pagliacci), Eisenstein (Die Fledermaus) and Dottore Grenvil (La traviata). In the Tivoli/Vredenburg Utrecht he performed the role of Ping in Puccini’s Turandot, Jago in Verdi’s Otello and Tchaikovsky’s Jevgeni Onegin. At the Grachtenfestival Amsterdam he sung the role of Lieutenant Smirnov in William Walton's The Bear. A gifted presenter, Willem performed in a series of educational concerts titled "Concert voor 1000 sterren" ("Concert for 1000 stars"), produced by the Magische Muziekfabriek in collaboration with the Residentie Orkest and Radio Filharmonisch Orkest. Willem was singer and presenter for a new educational pilot project of the Groot Omroepkoor, developed by the Dutch national radio and the NTR. The collaboration resulted in a highly successful concert series titled “Meneer Gijs wil een prijs”. De Vries sang the role of Alidoro, Marullo and Schaunard in the Opera Zuid productions of La cenerentola, Rigoletto and La bohème. In Rossini’s Le Comte d’Ory he sang the role of Le Gouverneur in an open-air festival in Breda. During the Grachtenfestival in Amsterdam he sang the role of Podestat in Bizet’s Le doctor miracle. In 2019 Willem performs in the reprise of Waterwerken by Bob Zimmerman, an opera made for the Concertgebouw. In 2020 he will sing Mozart’s Don Giovanni in a production of Opera Compact. 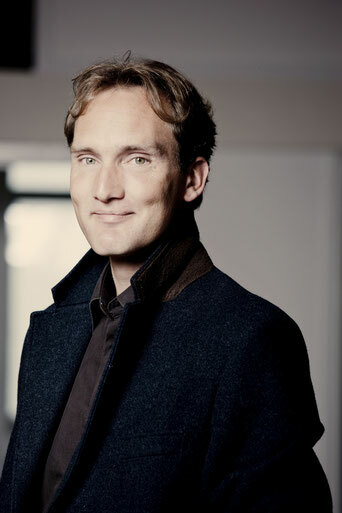 Willem de Vries also is a member of ensemble Frommermann, best known for their performances of repertoire of the Comedian Harmonists in the 2006 Koninginnedagconcert (‘Queen’s Concert’) in Paleis Noordeinde and the 2008 AVRO Prinsengrachtconcert in Amsterdam. De Vries is also active as an oratoria and lieder singer and has collaborated with conductors such as Reinbert de Leeuw, Ed Spanjaard, Jos van Veldhoven, Peter Dijkstra, Arjan Tien, Per-Otto Johansson, Karel Deseure, Henk Guittart en Erik van Nevel.